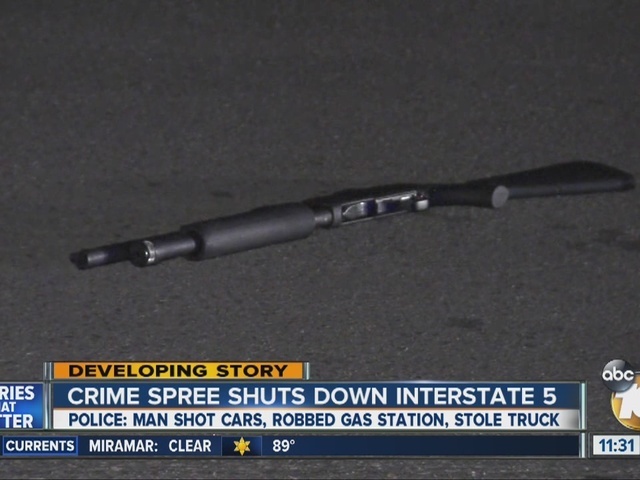 SAN DIEGO -- A man suspected of shooting up parked cars in Mission Hills and trying to rob an Encinitas gas station was arrested after carjacking a box truck in Torrey Pines and temporarily shutting down the Interstate 5 freeway early Tuesday morning. 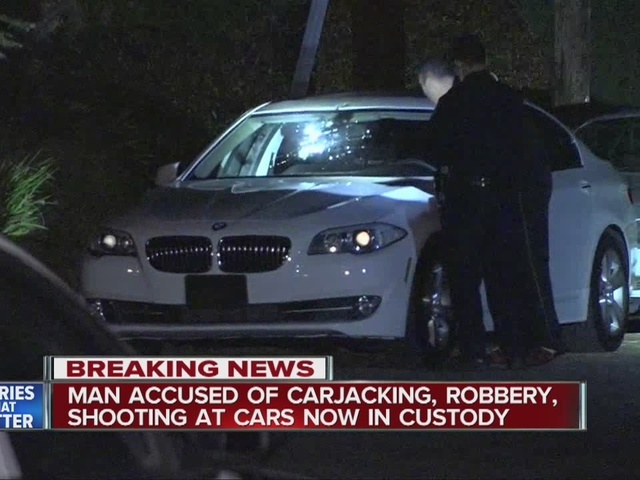 The incident began at around 2:30 a.m. when police responded to multiple 911 calls about a man who had shot up two vehicles in the 4100 block of Ibis St. in Mission Hills. Police found a white BMW and a black truck that both had eight or more bullet holes in them. A woman who resides in a home on Ibis told police that her husband, later identified as 31-year-old Jonathan Sheddy, had been acting irrationally and could be suicidal. She said he had taken a shotgun and left the home. Police learned the man had driven away in a blue Honda sedan, armed with a shotgun, and possibly a handgun. At around 4 a.m., San Diego County Sheriff’s deputies responded to a reported knifepoint robbery at a Chevron station at 805 Birmingham Dr. in Cardiff. The suspect matched the description of the Mission Hills shooter. Sometime around 4:30 a.m., police received a report of a carjacking in the area of Genesee Avenue and Science Center Drive, off Interstate 5 in Torrey Pines. A victim told police that a man had carjacked his box truck. His description matched that of the crime spree suspect. Minutes later, officers discovered the box truck on southbound I-5, just south of State Route 52 in the Soledad South neighborhood. The Honda was found in Torrey Pines with both a shotgun and shell laying on the ground next to it, police said. 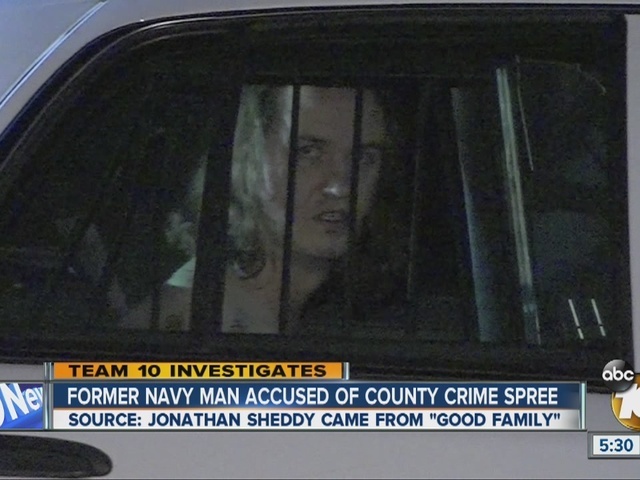 After a brief standoff which shut down both sides of Interstate 5, the suspect surrendered and was taken into custody at around 5 a.m.
Sheddy was booked into the San Diego Central Jail on one count each of kidnapping and carjacking. No one was injured during any part of the crime spree.